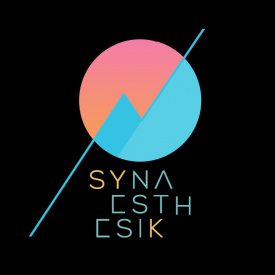 Synaesthesik is a Graphic Designer, Visual Artist and 'natural born' music lover that translates the sound into eye catching images, to connect the sight and hearing senses in every live Vj performance and related print or digital project. Ginna Mora, also known as Synaesthesik acquired her name in the Argentinian Vj scene in 2009, once she started working in branding for Artists & Record Labels, and rocking the screens with her visuals in Electronic Music Events in Buenos Aires City. 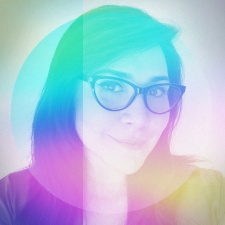 It was after finishing her post graduate studies in Communication Design (UBA, 2008) and an intensive research about the Synaesthesia Phenomenon (of which she also wrote her thesis “Visual music: the function of the visual stimuli in the multisensor experience of the modern electronic music performances”). 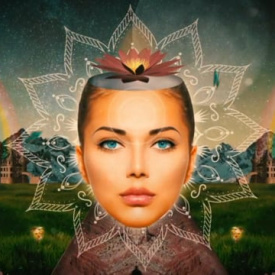 In her work, she combines different techniques and use it accordingly to the needing of each project, not being then a novelty that during her performances, she surprises the public with a fascinating visual mixture that includes, Illustration, Collage, Motion graphics, etc., in an audio reactive set. ​As a company, Synaesthesik works in collaboration with other talented professionals (SYK Visuals), giving her the ability to fulfill the needs of more challenging projects and bigger clients. Nowadays, she is one of the most active Visual Artists based in the Netherlands who has an extensive experience working with clients worldwide.